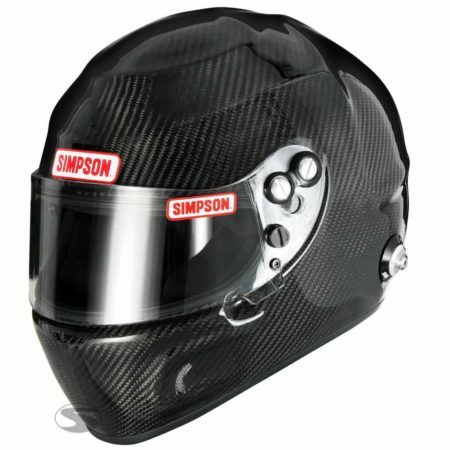 Simpson’s Carbon Devil Ray is a uniquely styled and extremely popular helmet that comes designed for an uncompromisingly high driver comfort. The Carbon Devil Ray consists of a high-quality, extremely lightweight carbon outer shell and an innovative inner shell system – a highly effective safety combination: on the outside the helmet is extremely impact-resistant, internally shock-absorbing and noise-absorbing. The noticeably aerodynamically shaped outer shell features incorporated “wave eliminators”, this reduces the air turbulence and the associated forces around the helmet, reducing helmet lift and buffetting commonly experienced in open cockpits. The high-quality interior is made of flame-retardant, breathable material. Ventilation openings in the chin area direct fresh air directly into the helmet. – Easy-to-operate visor adjustment mechanism. – 100% sealing of the visor thanks to an adapted rubber sealing lip. 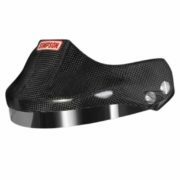 Homologation according to Snell SA2015 and FIA 8858-2015 for use with HANS clips. Finding the perfect size for your next Simpson helmet is simple. 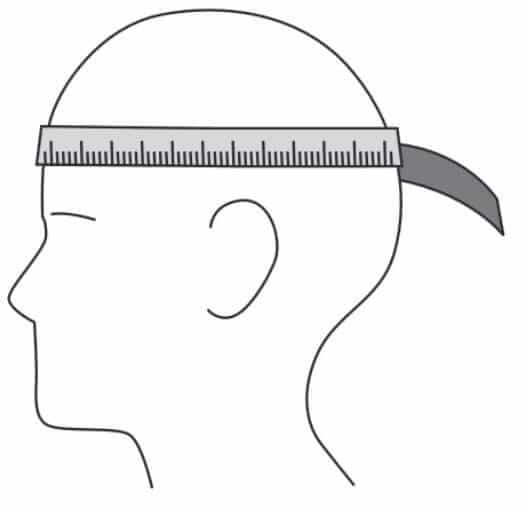 Measure your head with a soft tape around the largest part of your head as shown in the diagram. Finally, compare your head circumference with the sizes (centimetres) in the selection box. If you have any questions regarding sizes, please ask us using the instant chat feature at the bottom of this page.